Choose Viva Las Vegas to entertain and make your Prom the one everyone will be talking about for years to come! Students and teachers can join in the fun, interact and socialise on the no risk casino games, Roulette, Blackjack and Poker. 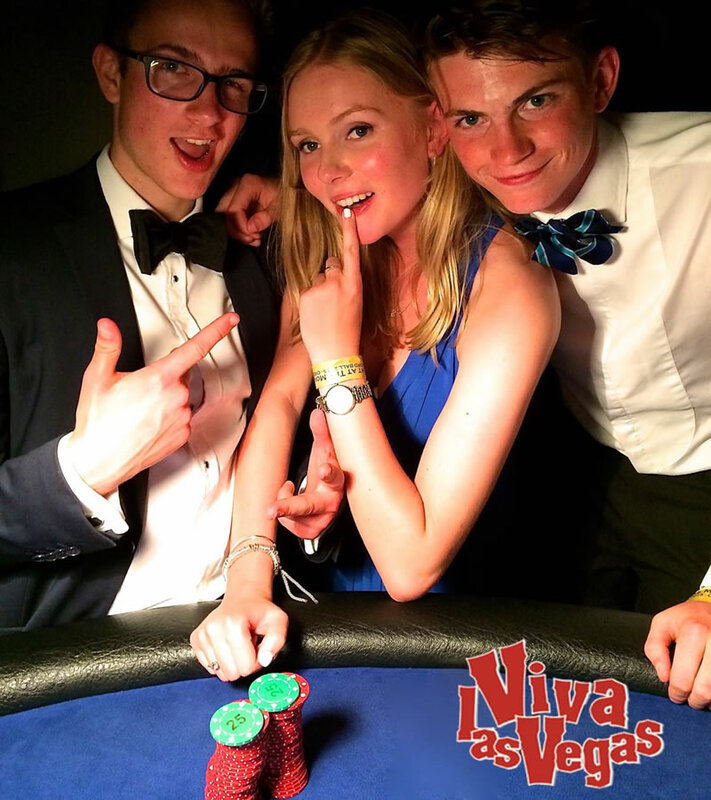 Fun money at all events but still the excitement and challenge to be crowned the Prom King or Queen of the Viva Las Vegas Casino! There is no need to worry if you have never played before, our friendly, informative croupiers will give advice, hints and tips on how to break the bank! With their humour and personality they will create an all round fun night! The Casino Host will meet and greet and ensure everything runs smoothly and our high standards are maintained.